As the new season approaches, we, of course, want to ensure your work and weekend wardrobe essentials are taken care of, but adding a few new pieces to your athleticwear section is equally important. 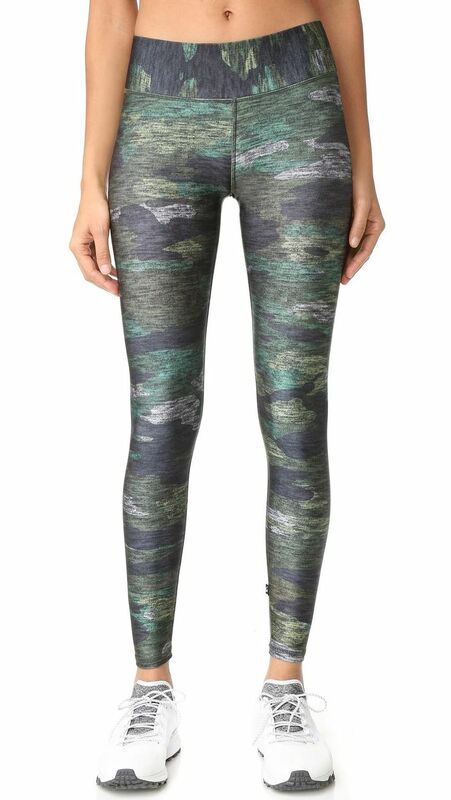 In an effort to find out the freshest legging trends for spring, we reached out to Bandier founder Jenn Bandier for her expert shopping advice. Now more than ever is a great time to give your basic black leggings a break and swap in something a little more playful. To make your spring leggings shopping spree simple, we’ve shopped out the best printed workout leggings to add to your athleisure selection this season. We're all in on camo. This pair is reversible, so you get both a solid and a print in one. Notice the ruffle detail. So cool. We love the subtle neon touches. Pair these with a pair of bright white sneakers for the perfect athleisure look. This collab is on point. We've never seen a pair like this. Yes, Fendi makes leggings, and, yes, they're super cool. Never thought we'd describe leggings as pretty, but these ones really are. Athleisure is not excluded from this season's tie-dye trend. Try the matching sports bra for the full effect. Animal print still going strong. We're seeing stars with this pair. The minimalist way to wear patterned leggings. You can never go wrong with simple stripes. Next up: Here's how one editor tackled her fear of printed leggings.